Perhaps it's the allure of its name. But more likely, the 5.1-percent unemployment rate of Eden Prairie, Minn. pushed it to the top of the stack of Money Magazine's annual list of the 100 "Best Places to Live." The jobless rate in this 64,000-strong suburb of Minneapolis is more than four points below the national average. It doesn't hurt that NFL running back Adrian Peterson lives there, with his team the Minnesota Vikings planting its practice facility and front office in the town. Other major employers are Fortune 500 trucking company C.H. Robinson and hearing-aid maker Starkey Labs. "Why is Eden Prairie No. 1 this year? Not only is it family-friendly, it has a dynamite economy too," according the magazine. 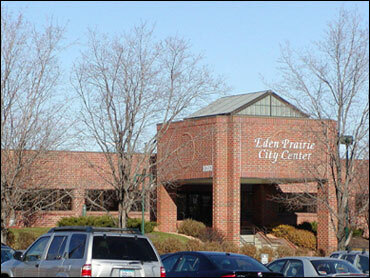 Eden Prairie's 12.6-percent job growth between 2000 and 2009 is also encouraging, but compare it to the 124.3-percent rate of McKinney, Texas (fifth on the list) and it doesn't seem so impressive - the town is one of the fastest growing cities in the nation, having ballooned 115 percent since 2000. McKinney's recent job growth is actually negative, according to bestplaces.net. Rounding out the top five are Columbia/Ellicott City, Md., Newton, Mass., and Bellevue, Wash.